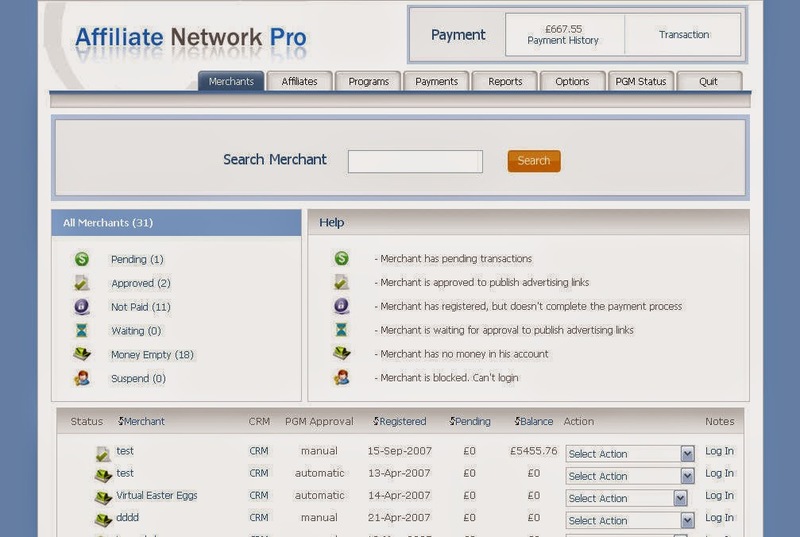 affiliate Network Pro is the next generation affiliate software that allows you to start your own affiliate program network just like LinkShare and CJ. Features include multi-language, full intergation with shopping carts and payment gateways, instant payment module, affiliate directory, real-time affiliate transaction and sales reports (click, sales, impressions and leads), support for recurring commissions, easy shopping cart integration, anti-fraud and IP blocking, multi-currency, advance email messaging, graphical analysis report, scheduled database backup, robust merchant (with a personalized affiliate signup page for each merchant) and affiliate management system and more. 0 Response to "Affiliate Network Pro 9.1"